MISSISSIPPI (WMC) - Tuesday, Mississippi voters will decide the fate of one remaining U.S. Senate seat. Republican Cindy Hyde-Smith and Democrat Mike Espy are vying for the spot in a special runoff election after neither received 50 percent of the vote on election night. Hyde-Smith has made it clear that a vote for her is a vote for President Donald Trump. President Trump made two stops in Mississippi on Monday in support of Hyde-Smith. "It's about preserving a strong military, a safe community and soaring economy," Trump said. "We're doing great. I'm going to ask the people of Mississippi to send Cindy Hyde Smith back to the U.S. Senate." Hyde-Smith's supporters were asked about her controversial "public hanging" comments and made it clear they will not be deterred in their vote. "Somebody can say one word and it be twisted and construed to say something totally different," Jamie Gunnells said. "She was not referring to a lynching, which is different than a public hanging." “She should not have said that, but she has apologized,” Cindy Hathcock said. Meanwhile, Mike Espy was in Jackson talking to his supporters Monday. He told them there are three reasons to support him: Better access to healthcare, his pledge to reduce the cost of education, and his willingness to go against his own party when he needs to. "I believe that I am the candidate to take Mississippi forward," Espy said. "I believe that I am the candidate to take Mississippi into the third decade of the 21st century." Espy's supporters are hoping Democrats can pull off an upset like they did in Alabama. "I think he is going to be somebody who is going to represent the whole state of Mississippi," Pamela Nell said. That's what we need somebody who will represent everybody, not just a certain part and that's why I'm here." The race will not determine which party controls the Senate--Republicans still have firm control over that chamber. Even still, people across the country are watching the race closely. So far, state officials say they haven’t seen any major problems at the polls in this runoff. Turnout may be lower than the general election, but poll workers said there has been a steady flow of people coming in to vote throughout the day. Tuesday, WMC5 stopped at different polling locations in DeSoto, Marshall, and Tunica counties. Just three weeks ago, Espy overwhelmingly won a majority of the counties in the WMC5 viewing area. In DeSoto and Tate counties, however, voters chose Hyde-Smith. Hyde-Smith picked up the majority of her votes in the northeast and southern part of the State. Voters said it was important for them to get out and vote because of all the controversy and national attention this particular election has received. "Hopefully we can find some common ground to all come together,” said voter Phillip Mobley. "I think we should support whoever's elected and do what we can to help them,” said another voter. Other voters said they weren’t going to let anything stop them from voting in this important election. In Tunica County, Espy beat Hyde-Smith three to one in the general election earlier this month, securing almost 68 percent of the vote. Who wins Tuesday night depends on the day’s turnout. Polls are open from 7 a.m. to 7 p.m. Voters must bring a photo ID with them. If you're in line at 7 p.m., stay in line. You will still be able to vote. Check in with WMC Action News 5 tonight after polls close for the latest results. Memphis police are on the scene of a multi-vehicle crash on I-240 near the Millbranch exit. 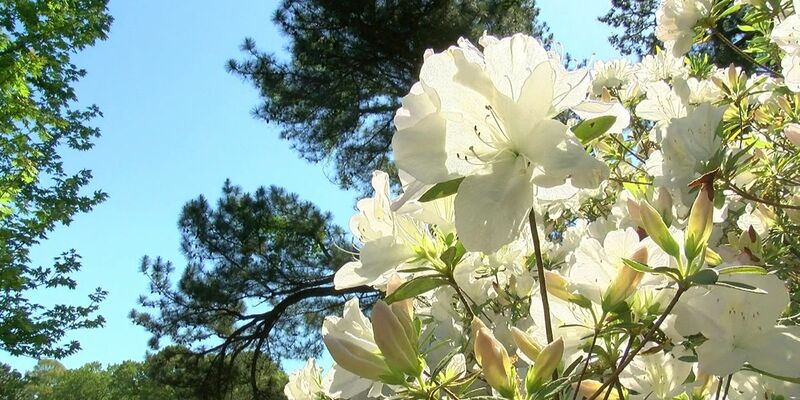 The Memphis Botanic Garden is asking for your help as they publicly launch a fundraising effort to improve the grounds.